The Total War: ROME II – Rise of the Republic balance patch is now live! 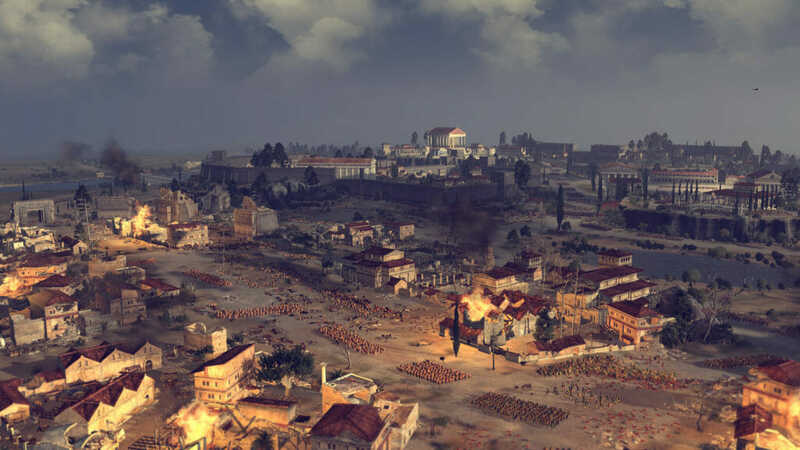 This patch introduces a number of tweaks, fixes, and improvements to ROME II’s base game and DLCs, including changes to politics, units, and the campaign map. Family members will no longer separate from the player’s family to form a new political party. Changed the loyalty bonuses on Easy and Normal difficulty – on Easy each party has +10 loyalty, on Normal there is no loyalty from difficulty. Reduced the cost of Samnite Armoured Spearmen. Reduced the armour of Centuriae and slightly increased their cost. Increased the movement speed of Lucanian Warriors. Increased the morale of Samnite Silver Infantrymen and Linen Legion. Slightly increased the weapon damage of Samnite Silver Infantrymen. Increased the melee attack and melee defence of Etruscan Light Spearmen. Veneti Ambushers can now attack as missile infantry, instead of always charging the enemy. Decreased the price of Sherden Swordsmen and slightly increased their weapon damage and charge bonus. Increased the price of Etruscan City Guard. Reduced Demoralize Army’s starting value and reduced it’s scaling per point of zeal. Reduced Steal Food’s scaling per point of zeal. Send Diplomat will only grant a region where a border is shared between the player and the faction to whom a diplomat is sent. Increased the cost of the Leisure Time and Assassinate intrigues by 100%. Increased the loyalty granted by Send Gift by 100%. Increased the cost of the Improve Relations intrigue by 150%. Increased the loyalty granted by Praise by 50%. Reduced the duration of Insult’s decreased loyalty effect by 2 turns. Increased the negative loyalty provided by the Provoke politican action by 50%. Lucanian Warriors and Lucanian Ambushers now require a tier 2 settlement to be recruited. Removed Etruscan Chariots from being a commander unit in custom battles for Tarchuna. Introduced changes to help the AI maintain more garrisons. Reduced the frequency at which the AI will hire Hippotoxotes. Reworked faction personalities for Volsci, Sabines, Hernici, Lucani and Bruttii to make them less treacherous and make the early game a bit easier. Reduced the negative costs of Etruscan minor military buildings. Reduced number of Etruscan minor settlement industrial buildings and the construction cost reduction they provide. The Family Tree screen will no longer return to the top if an intrugue is used on a character that is shown on the bottom of the tree. Faction-wide public order bonus from female Cursus Honorum is available only at level 4. Added missing effects to the Nutter trait and its subsequent levels. Added Lucanian Ambushers, Campanian Cavalry and Bruttii Tribesmen to Samnites’ roster in custom battle. A new toggle feature has been introduced to the Assembly Kit – after a pack file creation is performed by BOB, all exported binaries are deleted from the Assembly Kit’s working data folder. This change prevents previously exported changes leaking into new pack files. Fixed issues with stuck AI ships during coastal assaults. Fixed the AI’s ships not disembarking and preventing the player from completing coastal assault battles. Removed Sicillian Peltasts from Taras’ roster in custom battle. Fixed the Greek States faction trait Naval Prowess to properly grant its bonus. Fixed Roman Secessionists in the Grand Campaign raising armies with units that require technologies. Fixed the size of Italian Veteran Spearmen in battle. Fixed the tier 5 Syracuse mercenary building showing up as available. Fixed the Etruscan Nethuns temple chain so it’s regional food bonus for ports is now correctly applied to minor settlements. Fixed an issue where after a condefederation two characters could have the faction leader trait. Fixed an issue with clouds obscuring too much of the campaign map at maximum zoom distance in Rise of the Republic campaign. Fixed duplicate Legatus commander units in Imperator Augustus campaign. Fixed an issue with a missing effect concerning building construction time in a Samnite technology and an ancillary. Fixed Saba’s upkeep reduction for mercenaries not affecting Ma’rib Guard and Maas Gat Marauders. Fixed an issue with missing legs on Steppe Horse Skirmishers in Empire Divided campaign. Fixed a large settlement battle map being used for the port of Terranoa. 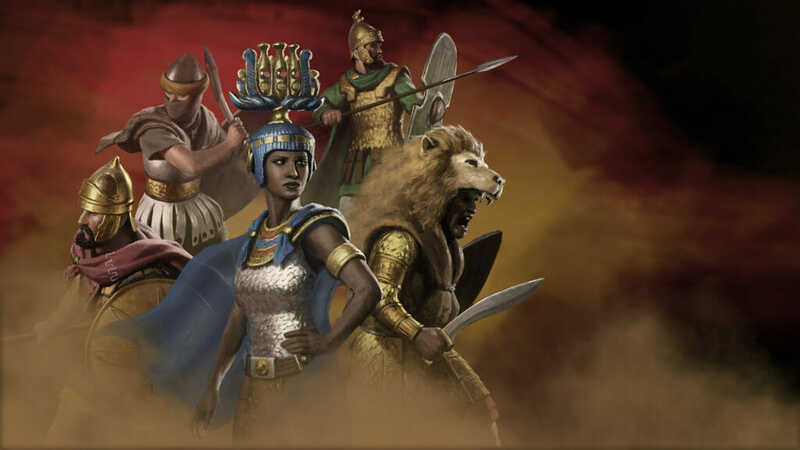 Fixed an issue with missing units of Carthage garrisons in Rise of the Republic campaign. Fixed an Illyrian mercenary unit not being affected by mercenary effects. Fixed a few of Syracuse’s technologies not affecting naval mercenaries in Rise of the Republic campaign. Fixed text inconsistencies within a few technology descriptions in non-English languages. Fixed the title of the message event when an enemy champion succeeds in using the Trap action against a player’s agent. Fixed the lip sync in Polish, Turkish and Czech. Fixed a crash when bribing an enemy commander of a rebel or slave rebellion faction. Fixed the battle maps of city assaults in Egyptian settlements of Imperator Augustus campaign not having Egyptian buildings in them. Fixed an issue where Syracuse used the Carthage battle map while it is a Hellenistic settlement. There are some cases of passive AI behavior in city assault and coastal assault battles. Flickering shadows may be observed when playing on Ultra graphical settings. There is a case where the game may crash if units from Empire Divided are used in a port assault battle on a Rise of the Republic map and they fight for a control point. Flickering shadows could be observed in battles when Nvidia SLI setup is used.